BAGUIO CITY – Mayor Mauricio G. Domogan underscored that the continuous operation of the State-run Philippine Economic Zone Authority (PEZA) has significantly contributed in sustaining the robust growth of the city and regional economy over the past several years, owing it to the robust growth in the semi-conductor industry among other multinational companies operating in the Loakan-based economic zone. The local chief executive admitted that PEZA contributes to the city’s coffers some P160 to P220 million annually representing the local government’s 40 percent share from the gross revenues generated by the operation of the multinational companies operating inside the economic zone aside from the employment that the companies provide to more than 10,000 people from all walks of life coming from the different parts of the Baguio-La Trinidad-Itogon-Sablan-Tuba-Tublay (BLISTT) area. “Baguio City is lucky to play host to the operation of the Philippine Economic Zone Authority because of its enormous contributions to the city and regional economic growth over the past several years. The local government continues to benefit in terms of the direct remittance of the city’s share from the gross revenues generated by the zone annually,” Domogan stressed. 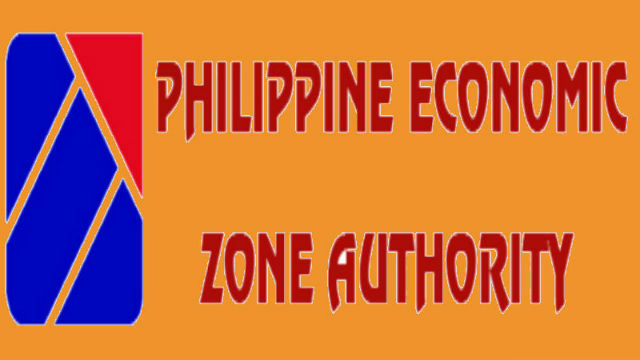 Under the PEZA law, local governments hosting the operation of economic zones are entitled to get a share of 40 percent of the gross revenues generated by the zones within their areas of jurisdiction. According to him, the local government continues to extend the appropriate assistance to the PEZA to locate the suitable areas where its companies could expand so that more investors will be encouraged to invest in the city and contribute in spurring the city’s economic growth. In 2017, the Cordillera bested all the other 17 regions in terms of economic growth when it realized a 12.1 percent growth, the highest among all the regions in the country wherein bulk of the recorded growth was contributed by the PEZA. Earlier, PEZA was looking into the Loakan airport as its expansion area but the local government and tourism industry stakeholders vehemently opposed the plan considering that it will deprive the city of an airport that will cater to the proposed operation of commercial flights. Domogan expressed confidence that the operation of the companies within PEZA will remain robust in the coming years so that there will be continuous growth in the PEZA contributions that will be used by the local government to bankroll the implementation of its priority development projects and improve the delivery of basic services to the residents in the city’s 128 barangays. Among the multinational companies that continuously operate inside the PEZA in Loakan include the Texas Instruments and MOOG Controls Corporation. Companies operating in economic zones are granted privileges by the government in terms of tax holidays among others to entice more multinational companies to infuse additional investments that will translate to the generation of more jobs for the people, increased revenue share of host local governments and increased sources of livelihood of the people, especially those living in communities around the established economic zones considering the enormous influx of people working in the zone round the clock.